SIX (Sonic Interaction & Experience) is a cross-institution initiative between RISD and Brown University. Fields connected in this effort include Sound & Music Computing, Sonic Interaction Design, and Media Arts. 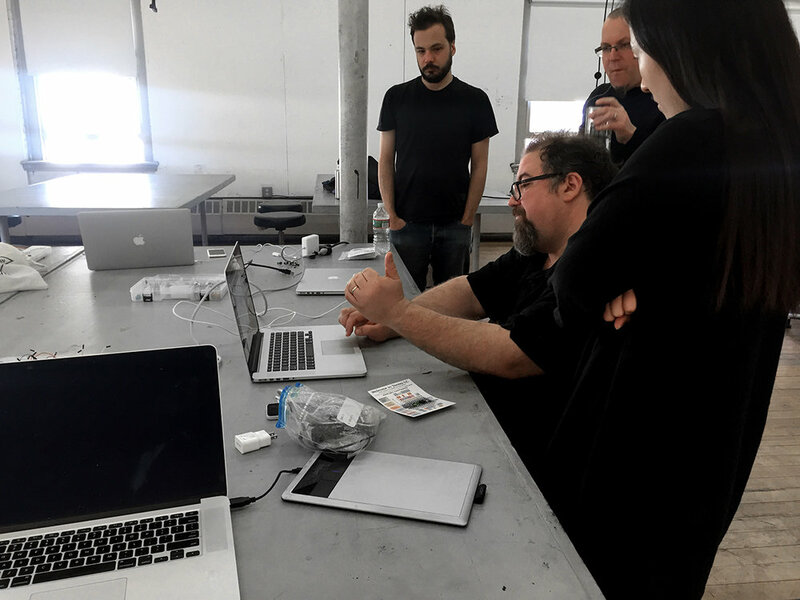 Creating a code repository to support teaching, learning, and collaboration in the areas of sonic interaction design and new interfaces for musical expression. Developing and documenting mobile and embedded computing workflows for a range of uses, including performance and installation. Building research capacity between institutions, including staging for partnerships and grant applications. Starting work that may lead to publishable outcomes for submission to peer-review contexts, e.g. the International Conference on New Interfaces for Musical Expression (NIME), Sound and Music Computing conference (SMC), International Computer Music Conference (ICMC), International Sonification Workshop (ISon), etc. Designing interfaces with class-compliant USB MIDI communication by repurposing the Arduino physical computing platform via the HIDUINO project. Designing with the Pure Data programming language for iOS and Android platforms via MobMuPlat and libPd toolkits; expanding upon these where necessary. Designing with the Pure Data programming language for single-board computers (e.g. Raspberry Pi, BeagleBoard XM, CuBox-i, UDOO, ODROID, etc.) with Android or Linux operating systems (e.g. Satellite CCRMA and PdPi). Developing and testing workflows for prototyping with mobile and embeddable computers.